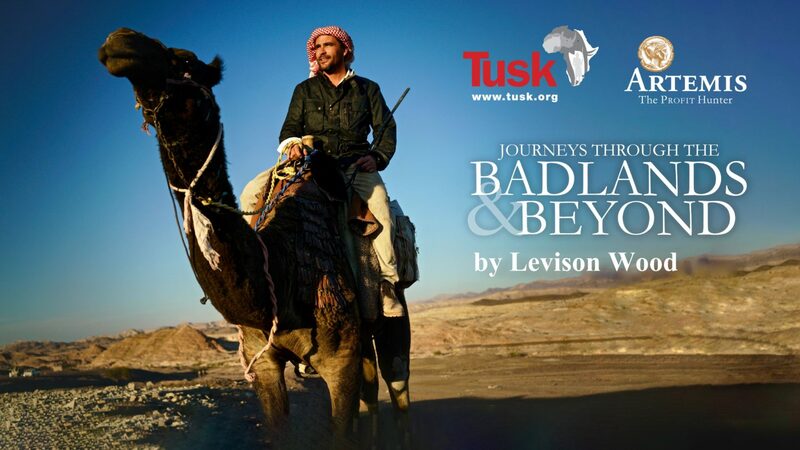 On 23rd January 2019, over 800 guests gathered at the Cadogan Hall in central London to hear Levison Wood, the renowned British explorer, writer and photographer, recount tales from his recent Arabia expedition. Levison’s 5000 mile circumnavigation of the Arabian peninsula from Syria to Lebanon was his most ambitious expedition to date and certainly gave up a host of fascinating tales and insights. Levison set out across 13 countries by camel, foot, mule, truck, car, donkey and battle tank. Equipped with keen historical knowledge, patience and a genuine sense of purpose, Levison showed how rewarding it can be to overturn stereotypes and open doors, to uncover hidden mysteries – and challenge himself, too. This was an enlightening, at times hilarious and often thought-provoking talk which left the audience keen to hear more. Tusk would like to thank the event sponsor, Artemis Investment Management, for their very kind support and for the event introduction by Jasper Berens. After his talk Levison, Tusk’s newest Ambassador, was joined on the stage by Charlie Mayhew, Tusk CEO, for a lively Q&A session. Our sincere thanks to Levison for his fantastic support and his brilliant talk.